The ATI Mobility Radeon HD 5870 is a high-end DirectX 11 capable graphics card by AMD for laptops. At the time of announcement, (Jan 2010) the 5870 paired with GDDR5 memory should be the fastest laptop GPU available, excluding SLI or CrossFire solutions. Technically, the chip is based on the desktop Radeon HD 5770 (RV840) with a slower clock rate. The memory interface of the Mobility 5870 is composed of two 64 bit wide controllers leading to a 128 bit memory bus that can access up to 1024 MB of DDR3 or GDDR5 memory (or 512 MB GDDR3). If (G)DDR3 is used by the laptop vendor, the performance of the 5870 will become bottlenecked by a noticeable degree. The HD 5870 offers 800 MADD cores (called Stream Processors) which are grouped in 160 5-dimensional groups. The cores support DirectX 11 functions in hardware (Tessellation, OIT, Post-Processing, Shadows, HDR Texture Compression). Furthermore, 16 ROPs, 40TMUs, and 40 TAUs can be found on the chip. All in all, the approximately 1.04 billion transistors of the 5870 offer a theroretic computation power of up to 1.12 TFLOPS. According to AMD, the HD 5000 series has also been improved with regards to general computing (as opposed to the HD 4000 series). Therefore, the performance of ATI stream, OpenCL, and DirectCompute 11 applications should be noticeably better. Compared to the previous generation such as with the Mobility Radeon HD 4870, the HD 5870 should be about 20% faster, at least according to AMD. HD 5870 cards with GDDR3 memory are expected to have lower performance gains. The gaming performance of the 5870 should be sufficient for all current games (2009-2010) in high resolution and high detail settings. The following games should run fluently in 1920x1200 with 4x Antialiasing: Left4Dead, UT3, Devil May Cry 4, Far Cry 2, ET:Quake Wars, and Wolfenstein MP (over 30 fps according to AMD slides - see below). Compared to the previous leader in the mobile segment, the NVIDIA GeForce GTX 280M, the new HD 5870 should be noticeably faster. The Mobility Radeon HD 5000 series includes an improved video processor (UVD2) to decode HD videos with the graphics card. Assuming adequate memory bandwidth, the new version can decode two HD streams simultaneously (e.g., for Blu-Ray picture in picture). Beginning from Flash 10.1 Beta, the 5000 series can also accelerate Flash HD videos (e.g., Youtube). A special feature of the HD 5000 series is its ability to transmit HD audio formats, such as Dolby True HD or DTS HD Master Audio, with up to 8 channels and 192 kHz / 24 Bit over HDMI 1.3a. Similar to the desktop HD 5000 series, the Mobility HD 5870 also supports Eyefinity to connect up to 6 monitors on a computer. Of course, this depends on how many monitor outputs the laptop can physically support. Furthermore, it appears that only laptops with DisplayPort outputs (e.g., HP Envy 17) can support Eyefinity. Due to the high power consumption of the Mobility Radeon HD 5870, the GPU is only suited for large laptops with good (and possibly loud) cooling solutions. According to AMD, the performance per watt and the idle power consumption have both been improved thanks to Memory Clock Scaling and Clock Gating. Furthermore, the chip supports PowerXpress (with AMD chipset) and Switchable Graphics (Intel) to switch between dedicated and integrated graphics. Compared to desktop graphics cards, the Mobility Radeon HD 5870 should perform somewhere between a Radeon HD 5750 and 5770 according to the shader count of the desktop 5770 and the clock rate of the desktop 5750. 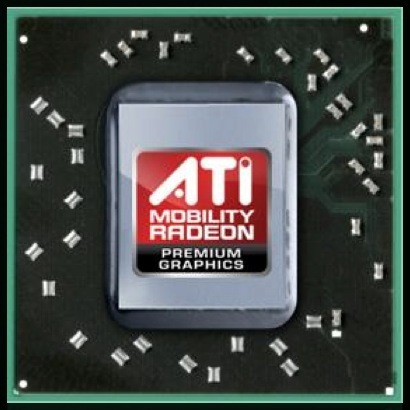 The ATI Mobility Radeon HD 5830 is a performance class DirectX 11 capable graphics card for laptops / notebooks by AMD. Technically the HD5830 is a slower clocked HD 5850 without the support for fast GDDR5 graphics memory. Therefore, the 128 bit memory bus in conjunction with DDR3 memory may be a performance bottleneck. As all cards of the Mobility HD 5800 series, the HD 5830 is based on the desktop HD 5770 (RV840) chip. The memory interface of the Mobility 5830 is composed out of two 64 bit wide controllers leading to a 128 bit memory bus that can access up to 1024 MB of DDR3. Because of the small bus width and the lack of GDDR5 memory, the memory performance should be the bottleneck of this card. The 5830 offers 800 MADD cores (called Stream Processors) which are grouped in 160 5-dimensional groups. The cores support DirectX 11 functions in hardware (Tessellation, OIT, Post-Processing, Shadows, HDR Texture Compression). Furthermore, 16 ROPs, 40TMUs, and 40 TAUs can be found on the chip. All in all the chip can deliver up to 0.8 TFLOPs. According to AMD, the HD 5000 series was also improved regarding general computing (as the HD4000 series was not optimized for this). Therefore, the performance of ATI stream, OpenCL, and DirectCompute 11 applications should be noticable better. The 3D performance of the Mobility HD 5830 should be in the performance class of the GTS 250M - GTX 260M and therefore capable of generating fluent framerates in all current games (2009). High end games like Crysis wont run in very high details, but most games should run with playable framerates. The Mobility Radeon HD 5000 series includes an improved video processor (UVD2) to decode HD videos with the graphic card. The new version is able to decode two HD streams simultaneously (e.g., for Blu-Ray picture in picture) if the graphic card offers enough memory bandwidth (only GDDR5 versions - and therefore perhaps not in the HD5830?). Since the Flash 10.1 Beta, the 5000 series is also able to help accelerate Flash HD videos (like YouTube). A special feature of the HD 5000 series is its ability to transmit HD audio formats (like Dolby True HD or DTS HD Master Audio) with up to 8 channels and 192 KHz / 24 Bit over HDMI 1.3a. As the desktop HD 5000 series, the Mobility HD 5830 also supports Eyefinity to connect up to 6 monitors to the graphics chip. Of course, this depends on how many and what kind of monitor outputs the laptop vendor adds to the laptop (and how they are wired). It seems like only DisplayPort outputs support Eyefinity and therefore up to now only one laptop supports more than 2 displays (Envy 17). The power consumption of 24 Watt (according to AMD) is not that high. Therefore, this GPU could also be used in 15-16" laptops.